Member Berries finish up Uldir with a Reorigination Blast! As stated above, you can see the road we've been through. Member Berries have improved a lot since previous tiers and are looking to improve even more. 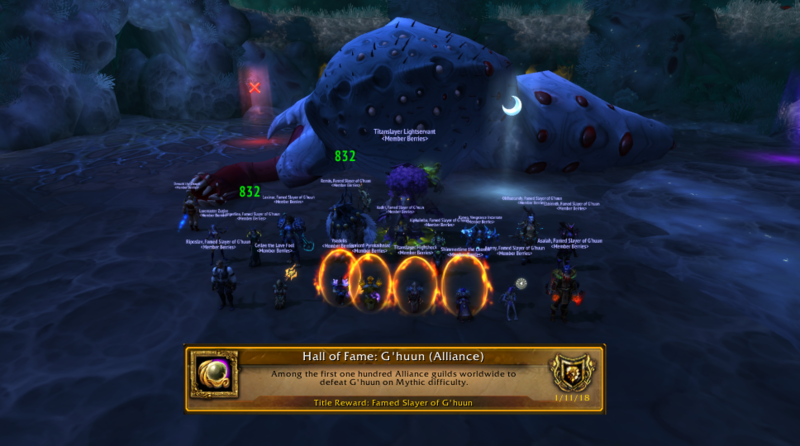 One of the big achievements and goals in this expansion was to be a part of Hall of Fame: G'huun (Alliance), which was for the first 100 alliance guilds to kill G'huun. Our progression on G'huun started out rather problematic. We had a lot of random disconnects, a lot of phone calls to ISP's and overall a bumpy road. We still managed to maximize our raid time and bring in decent setups so we could keep on progressing. With a bunch of resets, warlock gates, statues and transcendence positioned we could finally start our progression. It took some time to get the hang of the amount of orbs spawning and some adjustment to not get overrun and with the damage increase gained from the Dark Bargain we could easily clear out the Spawns of G'huun to assure we wouldn't get overrun. 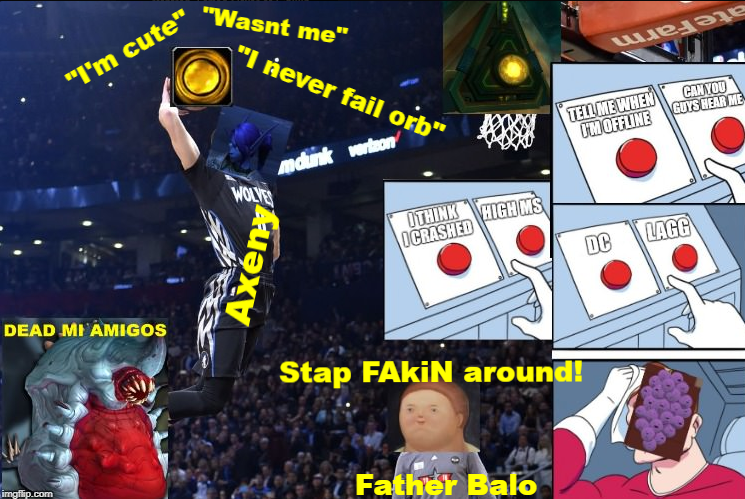 The synchronized dunks required also took a few pulls to get the hang of and the roots on players running also made an interesting mechanic. Going into phase 2 our main goal was to execute mechanics to our best ability as there is no special damage requirement for this boss, before phase 3. It took us a while to learn the bursting boil mechanic, we had our amount of mind controls and combat ressurections thrown in that direction, but after a while we started showing consistency. With the final Reorigination Blast pushing us into phase 3, we were ready to do the collapse and minimize our damage intake. And as G'huun once again became a viable target, we positioned ourselves at our markers, using our heroism and second pots. At this stage it was basically a question about dodging the malignant growth, fear and make sure to spread the 5 yards required on wave of corruption. It did take us a couple of pulls into phase 3, before we started executing the encounter. Upcoming official notes on NH nerfs on mythic difficulity.